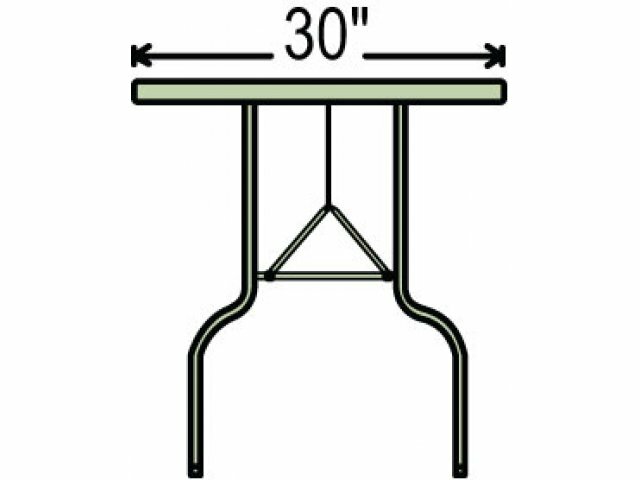 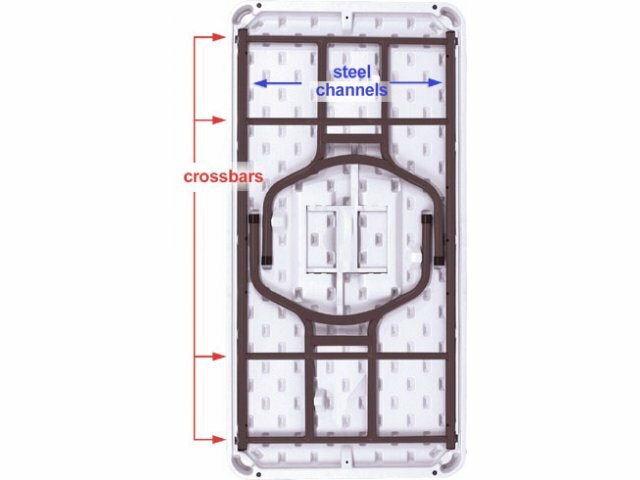 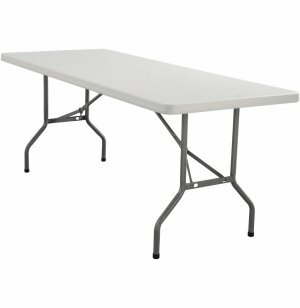 Blow Molded Rectangular Table 60"x30"
If you frequently set up and move your tables around, these commercial-grade folding tables made from blow-molded plastic resin make it easier for you. 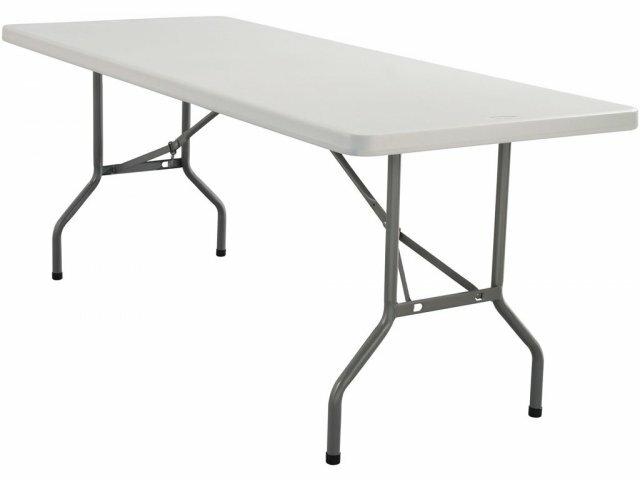 More durable and affordable too, these are the perfect folding tables for banquet, cafeteria, and just about any other use! 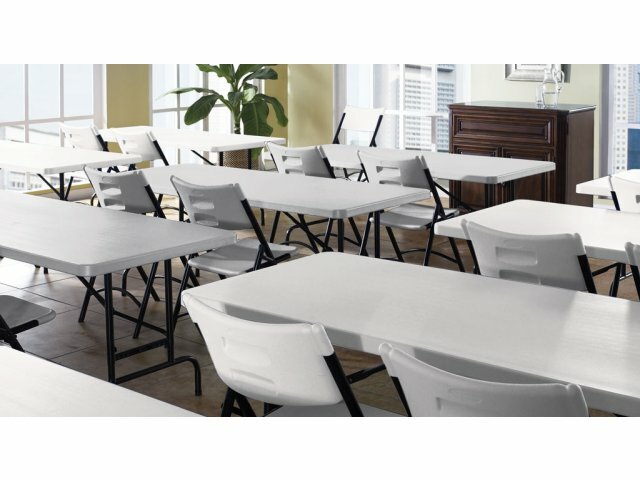 Tabletops feature a lightly textured surface that resists scratching, but is smooth enough to write on. 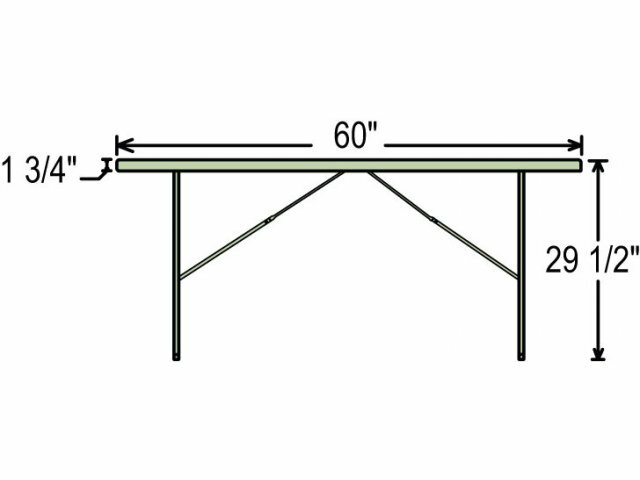 Strong: Heavy-duty 17-gauge frame for commercial environments.